I accept Visa, MasterCard, Paypal, checks or cash. Welcome! I have been painting custom pet portraits for over 25 years. My work has won awards from the Dog Writers Association of America and the Art Show at the Dog Show. I have also exhibited at the AKC Museum of the Dog. I've designed logos and t-shirt designs for breed clubs and specialty shows, including Irish Water Spaniels, Labrador Retrievers, Belgian Tervurens, Bearded Collies, Australian Terriers, and Golden Retrievers. In recent years I have expanded my work to include wildlife, flowers, landscapes and other subjects. 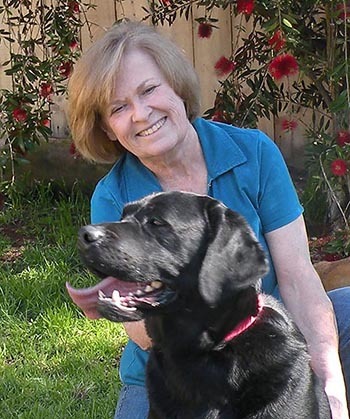 I have also written nine books on dog care (published by Alpha Books and Animal Planet) and written extensively for the Delta Society (Now Pet Partners), Fear Free Pets, and other pet-related websites. I board dogs in my home where I live with my two Shelties, a Dachshund, two cats, and three horses.